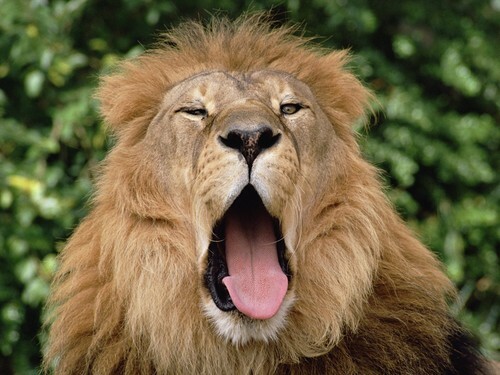 Male lion yawning. . HD Wallpaper and background images in the Lions club tagged: photo lions cats animals. This Lions wallpaper might contain शेर, जानवरों के राजा, पेन्थेरा लियो, जानवरों का राजा, पेंथेरा लेओ, राजा के जानवरों, and पेंथेरा लियो.